Good people are everywhere. 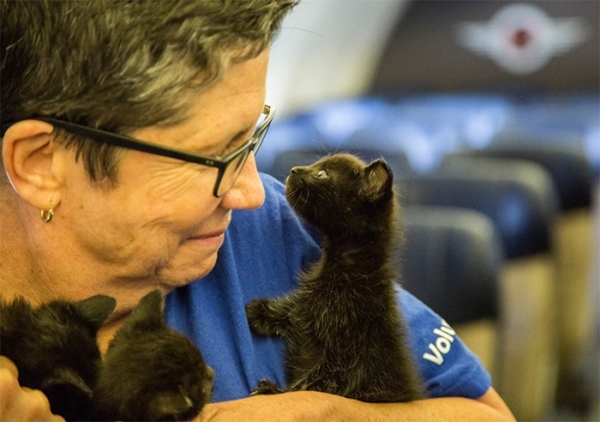 Even during the biggest disasters, when hundreds of pets become orphaned, there are volunteers, ready to provide an assistance and find a new home to the rescued animals. You remember a legendary story of Noah, saving animals from the water on his ark? 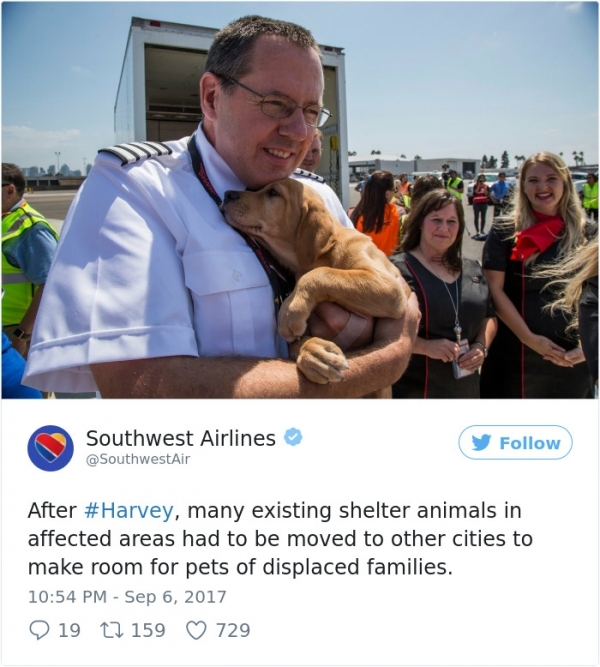 The same heroic act was performed by Southwest Airlines after the Houston Storm when many living creatures were left without a roof. The situation with shelters in Houston became problematic after the hurricane. When a great hurricane, like Harvey, devastates a city, it is not only people that become affected by the circumstances. There are plenty of pets left outside on the streets. 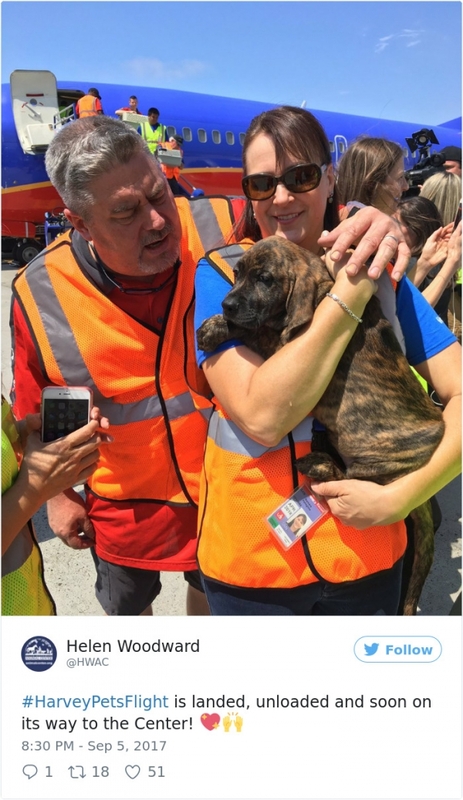 The animal rescue groups and Southwest Airlines arranged a special “furry” rescue flight, taking pets on board and helping them to escape the floods, leaving some spare room at the overloaded shelters in Texas to be able to host more rescued pets. 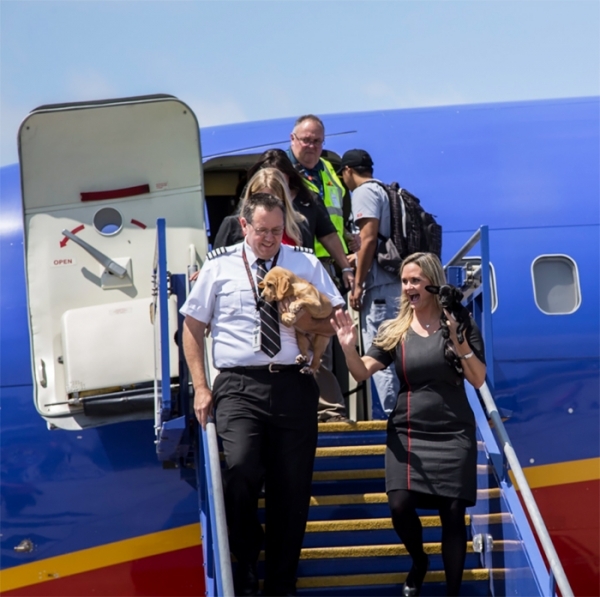 64 cats and dogs became the passengers of the Southwest Airlines flight from Austin, TX to San Diego, CA. They lost their houses and families, but they hoped to find a new life in sunny California, and they were ready to give their love to the new caring owners. The hope is the thing that helps us to stay alive and to stay united. Sometimes a common sorrow unites people better than happiness. So maybe these animals would find their new families, who had never thought about getting a pet or taking it from a shelter, but they would take one now in order to save a four-legged creature’s life. The idea to fly animals to Texas was aimed at saving the pets’ lives. 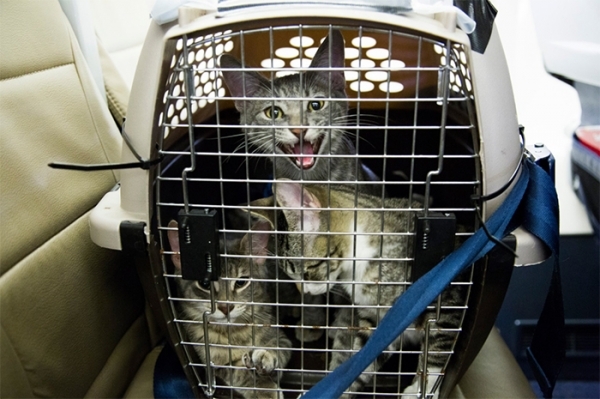 The animal rescue group in charge of the operation, called Operation Pets Alive!, became very concerned with a growing number of pets in the shelters after the disaster. There was not enough free room to fit all the newcomers, so they had to consider euthanasia. The operation literary saved the lives of plenty of cute, fluffy creatures. All the pets were transferred to the Helen Woodward Animal Center in San Diego, California. There they were fed and saved, waiting for some warm-hearted people, who would come and adopt them. The massive pet adoption campaign has already started, so you may check the website of the shelter if you want a new forever family member. They have already posted the profiles of the animals, available for adoption. The “Hurricane Harvey Rescue” label on the photo means that the pet escaped the disastrous flood in Texas. Some of the pets, however, were relocated to other local shelters in California.